Recently while visiting my daughter and her husband, who are new homeowners, she declared “sometimes this house still doesn’t feel like ours!” They purchased their first home from the original owners of the property. Blessed with ample outdoor space, a large gazebo, an artist’s shed, and gardens galore, the single level ranch needed an update. After some renovation, they have continued working to make it their own. 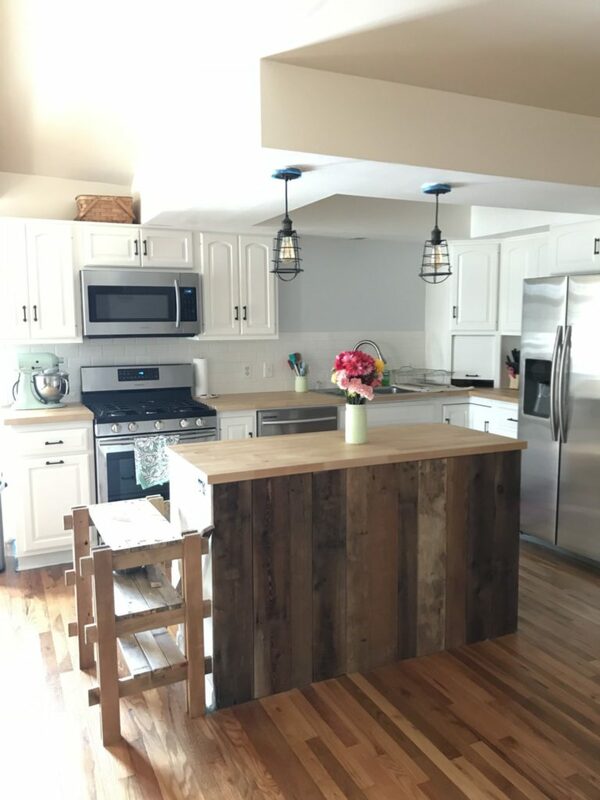 The kitchen was the first project they worked on, replacing cabinets with ‘new to them’ ones that were painted using Bungalow 47 Furniture Paint. Notice the industrial cage lights over the island, these were ones we matched for this quick project! Here are the fixtures that were bumming her out. They definitely need an update. B47 Paint to the rescue! Did you know that Bungalow 47 Furniture Paint can be used on metal too? The advantage of that is the project we had in mind would only take 5 minutes, and make a world of difference. 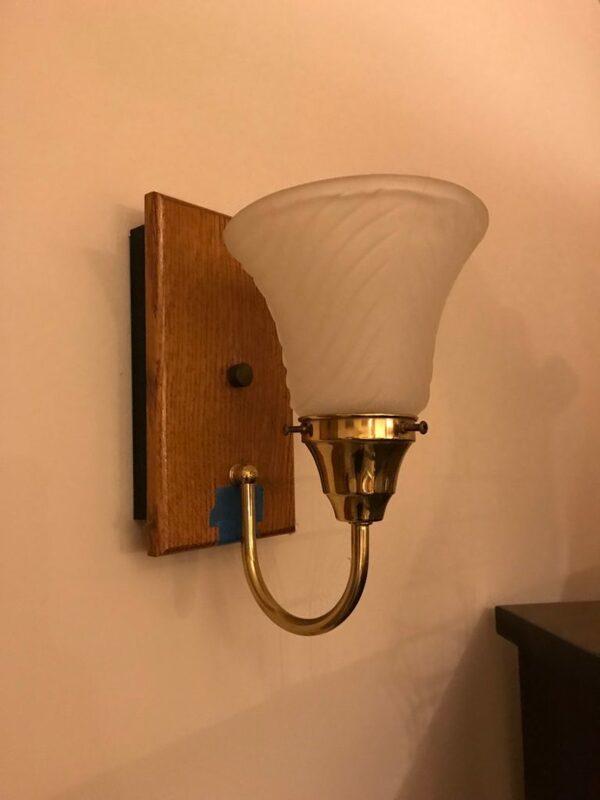 There was no need to remove the light fixtures from the wall, which would need to be done to use spray paint. 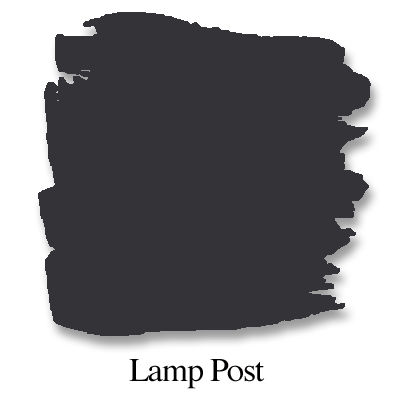 We used Lamp Post, a true black in the B47 Furniture Paint line. 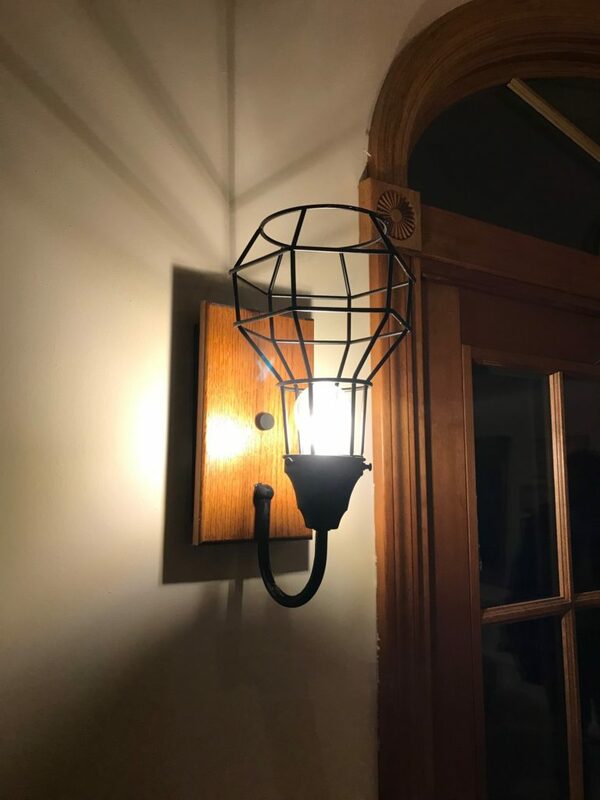 To mimic other fixtures in the house that had been changed to match their style, we simply removed the old granny glass globe, quickly painted the metal with the paint using a small brush perfect for the job, and switched out the light for a new industrial shade (after a quick trip to Menard’s). To match the industrial style they chose, we used B47 Furniture Paint in Lamp Post, a true black. Here’s me doing a quick 5 minute transformation on the lights. Don’t they look great? 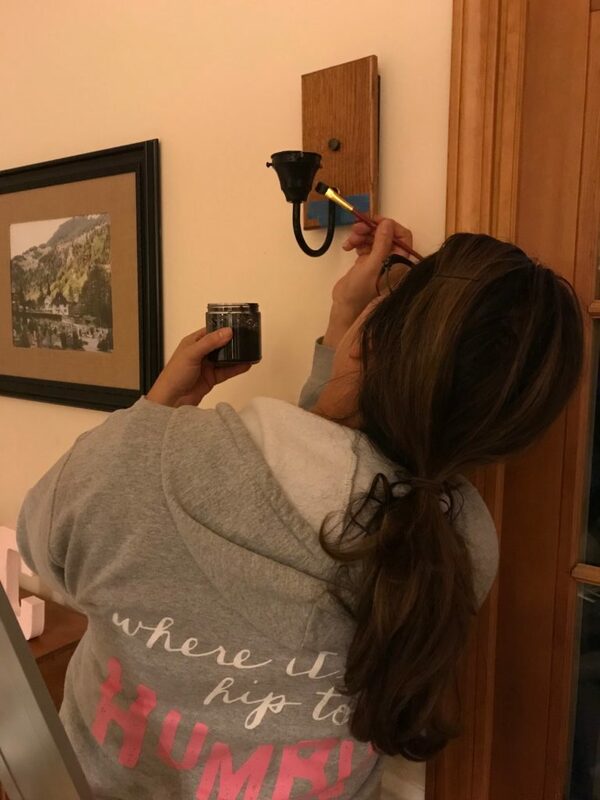 A little paint goes a long way, and Bungalow 47 Furniture Paint can help you MAKE IT NEW and MAKE IT YOU! 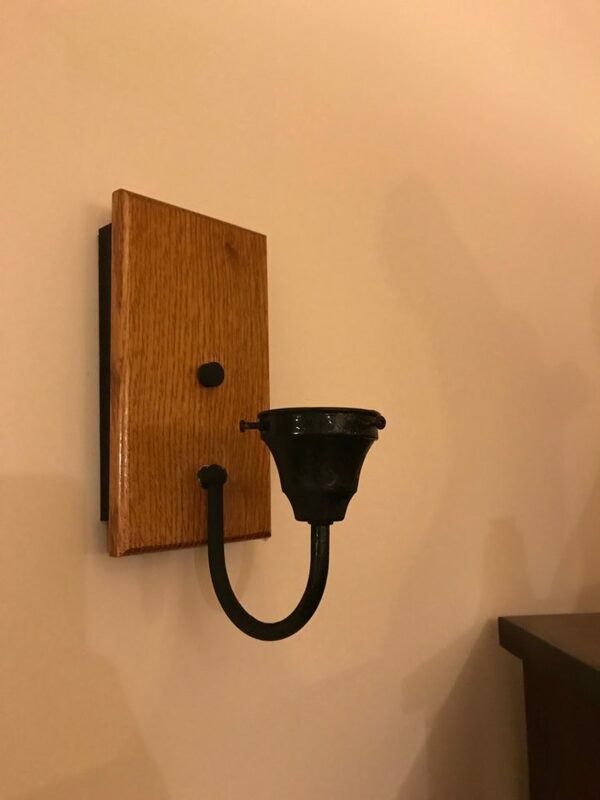 The finished light, with new black paint and a decorative cover from Menard’s. Love this transformation! Thanks for giving me the idea. My bath fixture definitely needs this very same update. I can’t wait to paint my fixtures now!! !